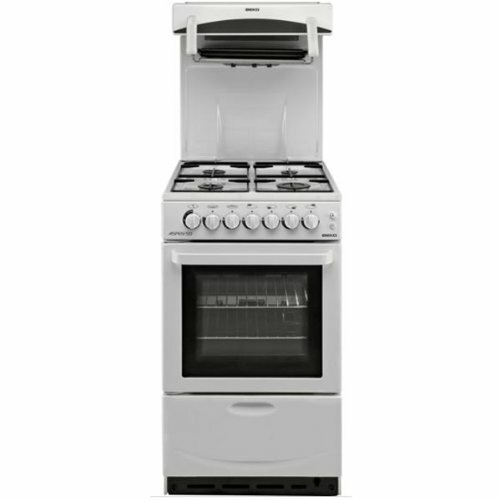 Compact and discreet, this specially designed Beko BA52NEW 50cm High Level Gas Cooker is reliable when it comes to performance. It can hold an impressive 41 litres, which is especially good to know should you be hosting a get together with friends and family. Features of this model include a flame safety device. The flame safety device has been designed to cut the gas supply should the flame blow out. The grill and oven both use 2.5kw of power. Oven functions include Gas, Grill and Low Grill cooking. You do not have to fear cleaning your oven anymore because this particular model features diamond quality easy wipe enamel on the ovens interior. A wet sponge and a bit of elbow grease will be enough. You can rest easy in the knowledge that the rest of the day is yours. 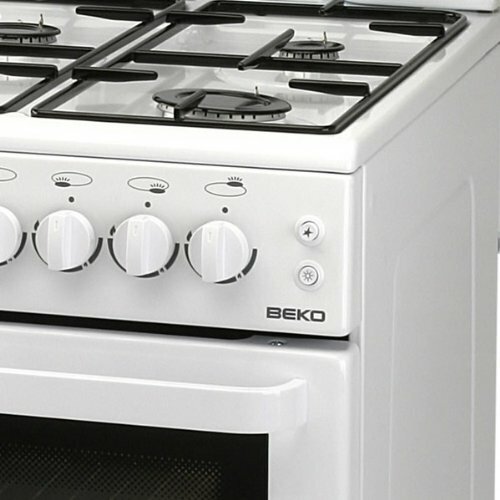 The Beko BA52NEW High Level Cooker is thermostatically controlled and easy to use. Contemporary in its design and with your needs in mind, Beko have produced another high quality appliance that is sure to leave you fully confident in their abilities to give you exactly what you need. 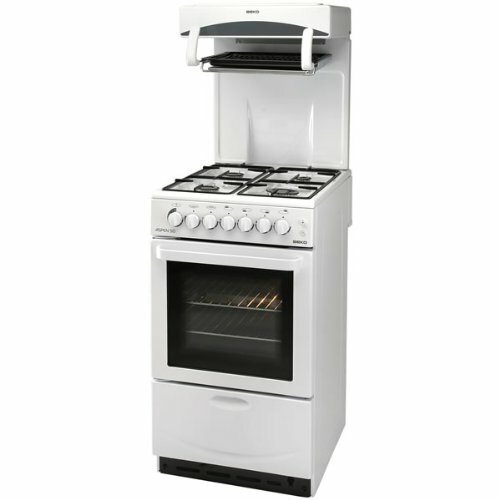 This model is also LPG (Liquid Petroleum Gas) convertible, meaning that an appliance can be fitted, should you not have a gas mains supply.